Our practice has provided thoughtful, individualized dental care for Southlake and the surrounding communities since 1989. We invite you to become a part of our patient family. We strive to care for people one at a time with treatment that caters to individual needs and desires. We will always work for you and not an insurance company's plan which dictates what level of care you receive. 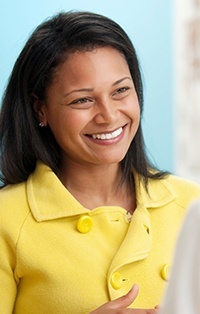 Your oral health is a serious matter and we approach it that way. 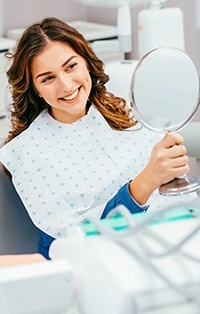 We know that every person who comes through our doors is a unique individual with their own particular dental and personal needs, which is why we always tailor our treatments specifically for each patient. We never practice “cookie-cutter” dentistry here! A smile should be as special as the person who has it, which is why we will always make sure the care you receive here is engineered exactly to your wants, needs, and expectations. We make it a point to have a warm and welcoming office that helps our patients relax. As soon as you step into our waiting room, you’ll feel like you’re in someone’s home. You’ll be able to kick back and let the stress simply fade away during your short wait time. With us, going to the dentist doesn’t have to bring on anxiety any more. Our team will always go the extra mile to make sure you’re completely comfortable at all times. Dr. J. Lee Pettigrew attended one of the most prestigious dental schools in the world, and he continues to refine his knowledge and skill by taking hundreds of hours of continuing education. He is an alumni of the L.D Pankey Institute, which is one of the well-respected dental institutions in the field. His goal is to grow, change, and evolve with dentistry, so when you come to see him, you can rest assured that you’re only getting the best. People tend to think that high-quality dental care has to be expensive…that’s not true for us! We think it’s important that everyone have access to world-class dental care, which is why our fees are extremely affordable and can fit into any family’s budget. When this combination of quality and value comes together, you’ll save even more because Dr. Pettigrew will be able to prevent most dental problems from ever developing, saving you from having to get more expensive treatments in the future. At our practice, high-quality will actually save you money. Dental technology is advancing just as quickly as cars and phones, and fortunately, Dr. Pettigrew and our team are able to keep up. Our office is filled with the latest and greatest tools the field has to offer, and they enable us to treat our patients with more efficiency, precision, and safety. If you haven’t been to the dentist in a long time, you’ll simply be amazed at the kinds of things we can do now! We also offer satellite TV, radio and WIFI for the comfort of our patients.